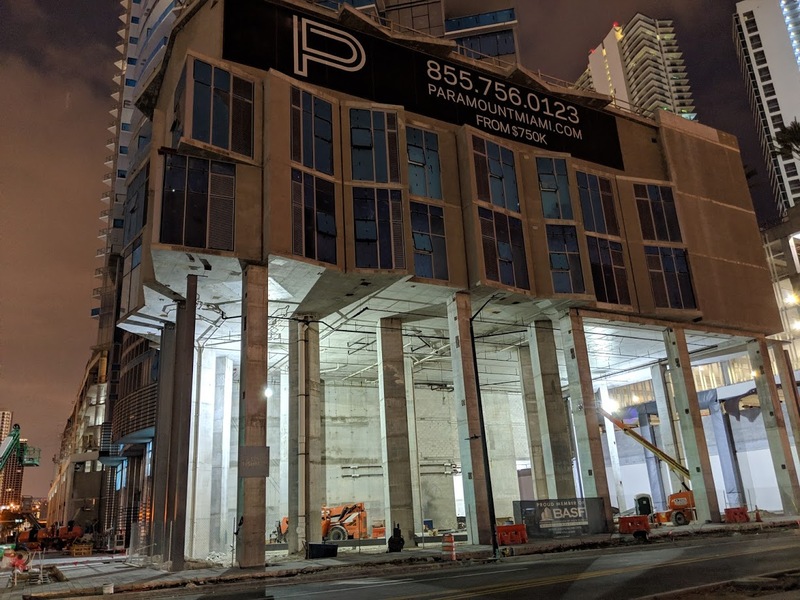 Downtown neighborhood got transformed.. it’s happening in a lot of places around Miami. I remember staying at the camillus house with my parents when I was a kid in the 90s for a week and now I could afford an apartment in that area. 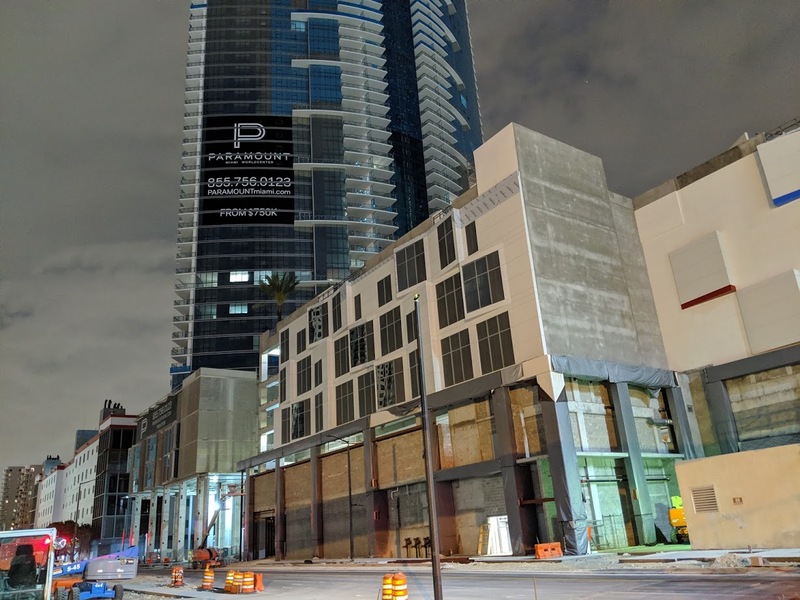 It’s called Overtown, where a certain percentage of units within development are designated affordable. I agree about the affordable housing comment, especially given all the people who have been displaced due to gentrification from these areas over the years. 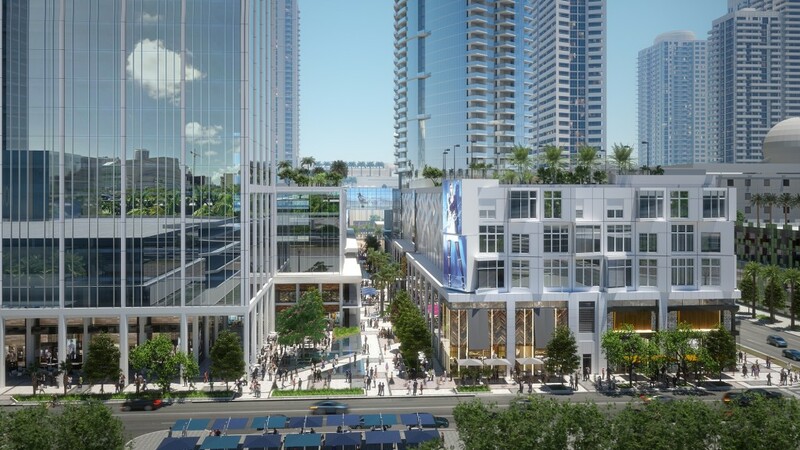 In fact, there’s already affordable housing elsewhere in downtown which integrates well with the community, such as 111 NE 2nd Ave and the Olympia Theater apartments. In fact, right in between the newly opened Centro condo and the Langford Hotel is the Royalton which houses people who were formerly homeless and trying to get back on their feet. Everything can’t be “luxury,” it’s not sustainable, and it’s boring and not real, not to mention classist. Healthy, interesting neighborhoods have always been mixed. In New York they have rent control. 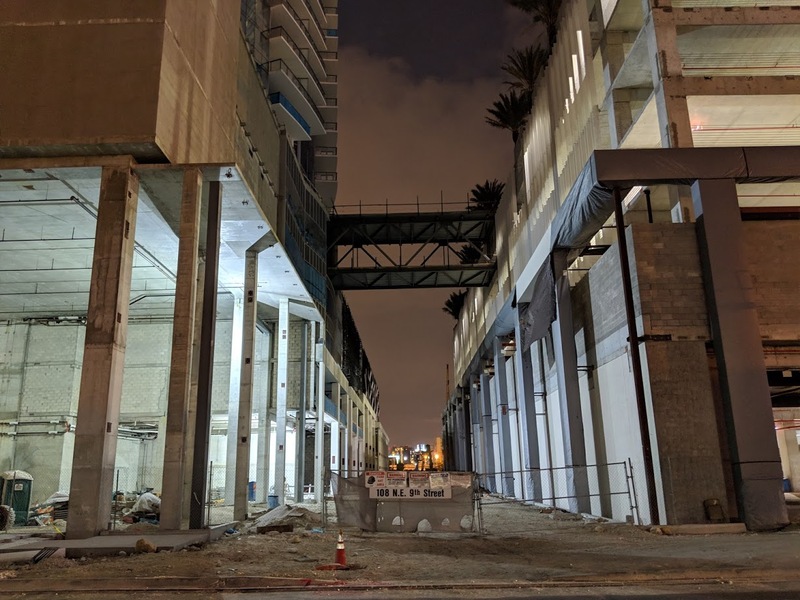 There’s no reason why some of the units or buildings can be set aside for affordable housing, which the county subsidizes any way in part with incentives. Good luck supporting a thriving retail “hot spot” with empty condo “assets” that only the super wealthy can afford. The retail promenade is extremely narrow. What should it be, 500ft wide? Wide enough not to feel claustrophobic. You feel claustrophobic in a place that’s not even finished and opened yet? Wow, you must live in a palace. No, but wide enough for some trees, seating, fountains. Just a space like everywhere else with a promenade. Geez some of you people in Miami do the dumbest whining about things. Take a look at the site plan in this article. You can see that the promenade has trees down the center of the promenade as well as some circular feature at an intersection, perhaps a fountain? It also has a larger plaza with water feature by the office building. 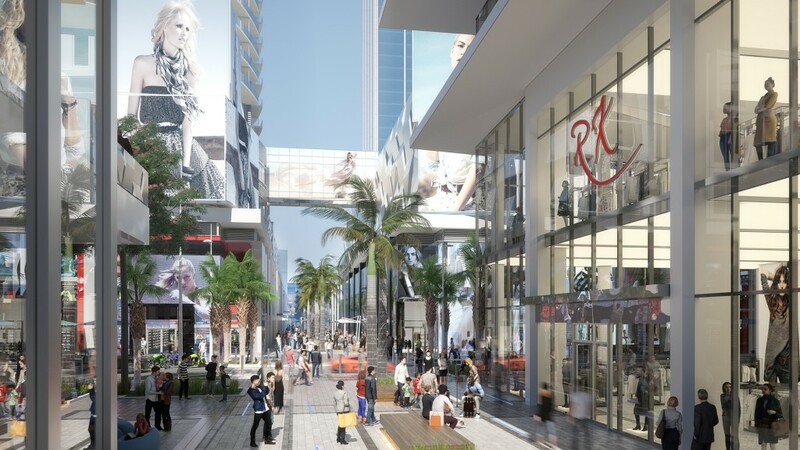 Looks amazing and I’m kicking myself — I’m no longer a naysayer and think this will be one of best areas in Miami — and should’ve bought back in 2015. Curious — anyone know what the avg $ per square foot was back in 2015 vs buying today? it’s much lower today due to excessive condo inventory. these next two years will be good years to buy. I don’t know exactly but started around $600/ft and now I think the remaining inventory is +/- $800/ft. The buildings along biscayne are at prices much lower than 2015.. fyi. Work in process. Still some time before it opens. This is still only March 2019. What was proposed way back in 2015/6 and what is being built is very different. Paseo seems too narrow and dark for anything but a walkway. Too bad; could have been a nice addition to Miami. Wait until its done before jumping to conclusions. Personally, I didn’t want a Macy’s or Sears there, so very happy with the changes! Don’t be a NIMBY that complains about everything. Long live Ultra at Bayfront! Sorry, Ultra is at Virginia Key Beach now. Has all the retail space in MariaBlue been rented out? 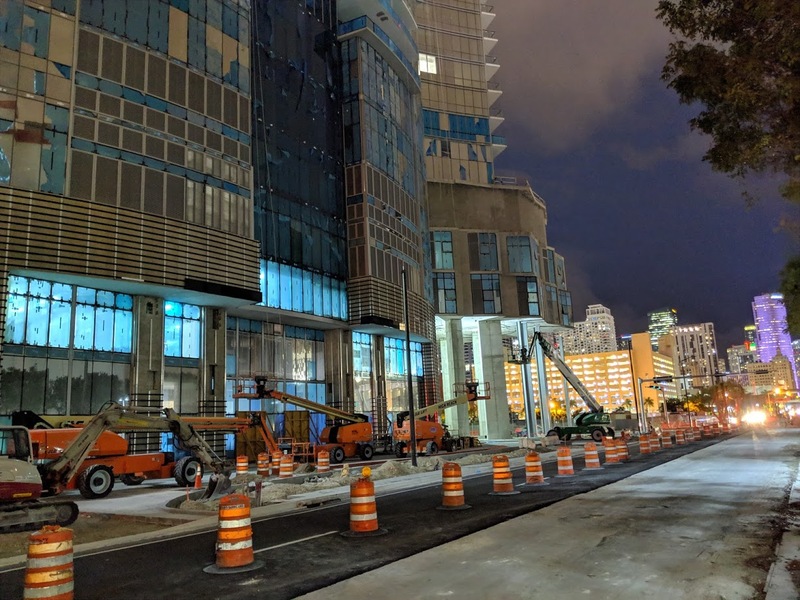 Some of these photos remind me of the huge empty paces at MarinaBlue’s sidewalk level. New roads, no bike lanes. Downtowns all around the Country are adding bike lanes, how about Miami? 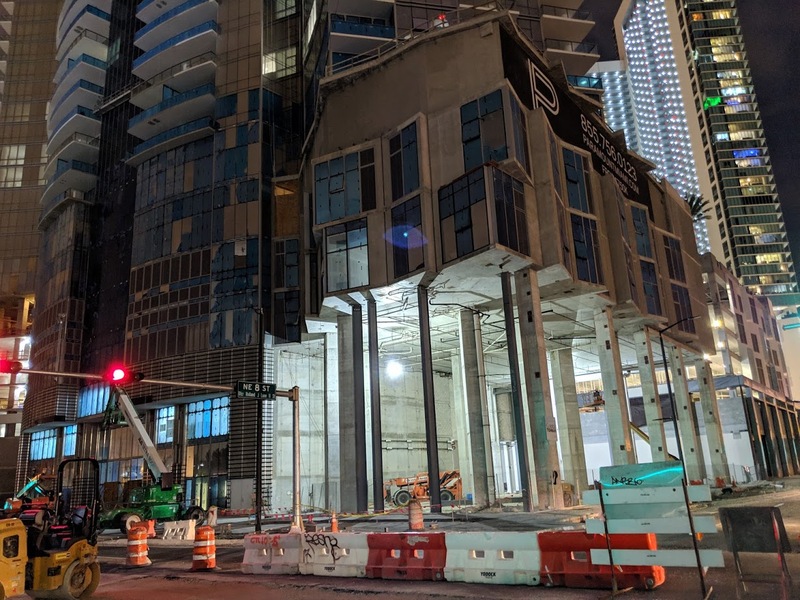 I don’t know exactly what it is but Brickell definitely needs something. Maybe it’s more foot traffic that can only come from a parking void. 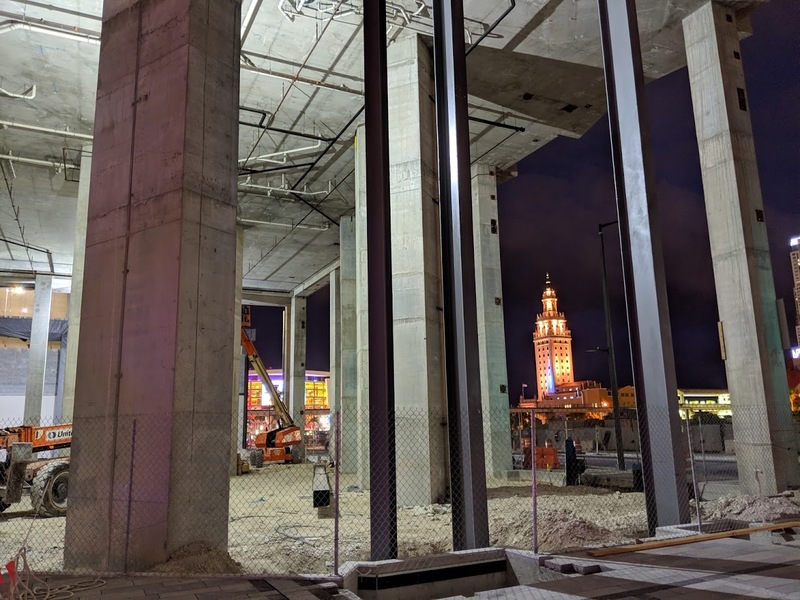 Brickell has the Metromover.. besides, let Brickell be Brickell.